The news cycle giveth–and it taketh away. After days of international hubbub over fake black “trans-racial” Rachel Dolezal claiming that blackness is something one can choose to be, we see the powerful and very real consequences that still lie at the heart of race in America. 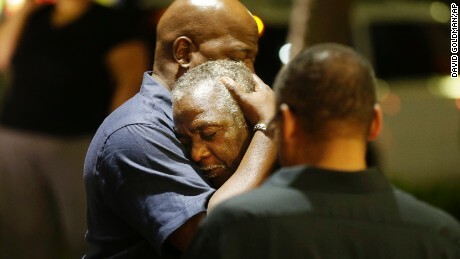 In Charleston, South Carolina, 9 people were shot by a lone gunman as they attended a prayer circle. Officials and investigators are labeling it a hate crime. No one of those eight lost souls had the chance to stop a bullet and say they identified as white. None of those people had the right to self identify their way out of the hate. It’s not a weave or a rap or a twerk that makes a person black. Race operates on multiple levels at the same time. We each experience race at the individual level: your own racial identity and your way of thinking and understanding race ; at the interpersonal level: in the interactions and relationships we have with others; at the institutional level: the schools, organizations, and churches we belong to; and at the ideological level: where the ideas that undergird these systems lives. While Dolezal has gotten us to talk about race at the individual level, what the crazy-talk about trans-racial ignores is the very real way that race operates on those other levels. Before we get into the trans-racial take down, a word about words. Transracial is already a word used to describe an adoption process when members of one race adopt a bona fide member of another race, who remain that other race their whole life. Lots of TRAs are heated about their term being used incorrectly on this rare occasion when it is used in the mainstream media at all. There are tens of thousands of transracial adoptees in the US, many of us proving Dolezal wrong–you can have a white mother of a black adopted child. I know: I have one! It’s not just an image trade. A very real and complex conversation has popped up to answer the question if transgender is a thing, and race and gender are both constructs, then isn’t transracial a thing? My answer is an emphatic no, with a not now coda. Race is not biologically assigned, true. Since it’s socially constructed, we could socially reconstruct or deconstruct it. Of course. Race hasn’t always been this way, so it can be something completely different at some point in the future. Yup. And if race is made up by people we can all change our mind and then we can be whatever race we want and tomorrow we’ll be post racial hooray! No, stop right there. Even though race is socially constructed, it’s not constructed primarily at the individual level (remember those levels). An individual cannot make the decision alone to change the categories–otherwise the census form would be really really long. Like we said in part 1, even if we all wake up tomorrow trans-racial, race as a construct would need to be dismantled in our systems and institutions. We can’t agree on much politically–do you really think a referendum recatagorizing all Americans–including Mexican Americans, I’m looking at you Donald Trump–would stand a chance of passing? 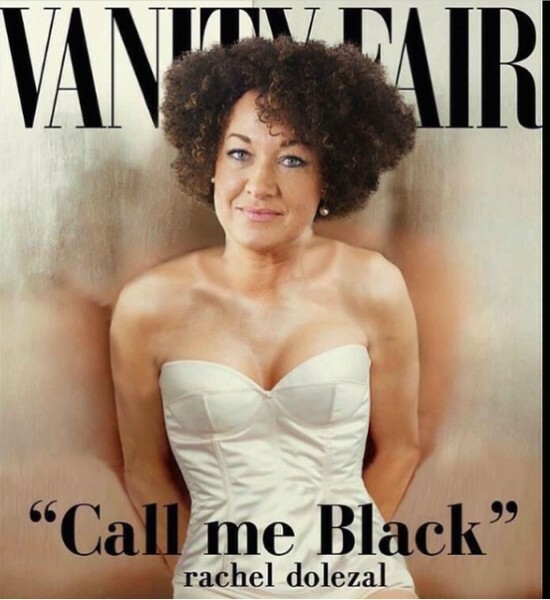 Not a Dolezal’s chance in hell. But is someone feels–I mean really feels–like they are black, then why not? 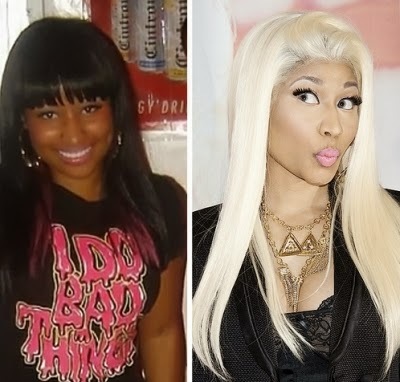 Hmm, notice there is no one saying that black people also have the right to change it up. In fact, blacks that were caught passing weren’t given a pass–they lost school and work opportunities , social status and in some cases suffered violence. If whites can become black and blacks cannot become white, then trans-racial is just the penultimate expression of white privilege–the privilege to choose black, and be rewarded. Besides, how white do you have to go to be considered white? 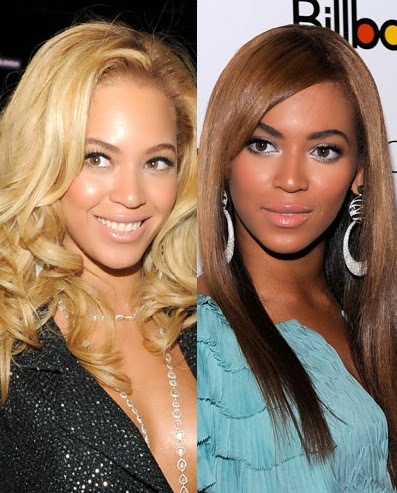 Lightened skin, straightened hair and white cultural moves might get you paid, but it doesn’t make you white. 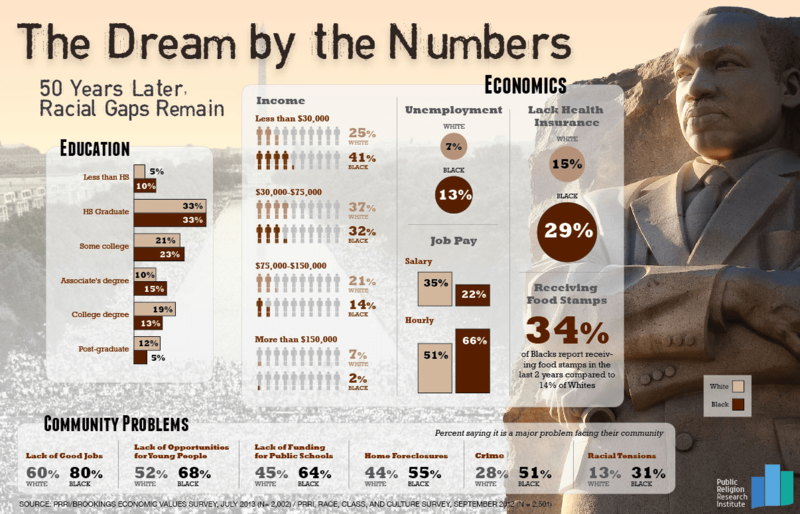 The costume of whiteness is all around us–and is a multibillion dollar industry. From 28 inch silky to skin whitening candy (for real) there are any number of products to kick you down Von Luschen’s chromatic scale, but none will give you entrance to whiteness. The borders between black and white in this country are still strictly enforced. There benefits of whiteness are protected in big and small ways from the ballot box, to massive cultural hegemony in media. The consequences of blackness are enforced with a heavy hand: uneven sentencing laws, banking practices like redlining, not to mention the raw brutality of police killings of black men and women. And now Charleston. People shot dead because they are black. Not because of a head of fake dreads or a particular shade. The killer didn’t check their black cards before unloading his weapon. He just shot them. Because they are black. And no amount of self-identification will bring them back. They do not have a choice. They didn’t have Dolezal’s choice. To say that race is a choice indicates that people can choose. And if you are suffering, and you choose not to help yourself, well, then your problems become your fault. Like slaves that didn’t run away. Like blacks that were in the ‘wrong place’. Like Selma marchers. If race is a choice, then your oppression becomes your own doing. Entertaining that race–and all the consequences that come with it are a choice is offensive given the blood, sweat and tear-gas tears that have soaked our cities this year alone. Race is an actively enforced construct at this time in America, so the mutability of race at the individual level is trumped by strict enforcement in our political, economic and cultural spheres. As long as blacks still suffer injustice and cruelty at the hands of white supremacy, transracial will remain an offense to people who care about the struggle to move past systems of oppression. Someday, will we all be able to trade race like we change hair? Maybe one day, in a lovely dream of a world. But the struggle is too real in the streets right now to entertain that.The theoretical conversation about what transracial could mean ignores the lived realities of race. So no to trans-race. Maybe not ‘no’ forever-f-or evea evea?–but definitely no for now. Next Post But Can Your Dads Do This?